There are many career options that can offer a very rewarding future both in terms of job satisfaction and in terms of finances. One of the areas that you can move into if you want to enjoy a long and highly respected career is law but you do need to put the work in so that you can gain the relevant qualifications. Earning a law degree can open up many different options for you within the legal sector. In order to study law at university in the UK, you will need to meet the entry requirements for the university you wish to study at. Competition for places on law degree courses has increased with more students now looking to study law at UK universities. As a result of this, universities look to try and attract the best students and this means that many have strict entry requirements in place. One of the most popular options is the LLB course, which is the equivalent of a BA or BSc. The entry requirements for a place to study law at a UK university can vary from one educational institution to another. They differ between countries too, as Scotland, Northern Ireland and Wales all have variations of entry requirements which differ from England. Thankfully, on the UCAS application board there is always a conversion scale so you can assess your results if you wish to study in another part of the UK. Your GCSE and A Level results will be taken into consideration when you apply for a law degree course. In terms of GCSEs you will generally need to have at least a grade C in maths and English. Many universities will also be looking for a minimum of three A Levels with grades of all A or all A and one B. Some may even want at least one A* as part of your A Level results. Some universities may offer alternative routes onto law degree courses such as foundation programmes. However, this is something that varies from one university to another so you would need to check with the university that you are considering applying to for your law degree. Another thing to bear in mind is that some universities have preferences with regards to the subjects that you have studied when it comes to your A Levels. Some may be looking for qualifications in so called ‘hard’ subjects such as maths, English, and sciences. Some of the most prestigious universities have a list of subjects that they prefer and this does not include what is known as ‘soft’ subjects like business studies or media studies. With this in mind, you need to ensure you choose the right subjects to study when doing your A Levels- and to some extent your GCSEs. Many of these universities will require an AAA or AAB result sheet from A Levels. There are a number of preferred subjects that top universities prefer when it comes to accepting students onto a law degree course. Curiously to some, law A Level is not a necessity. However, you should aim to do a selection of A Levels in areas that will prove beneficial to your legal studies and to your future career in the legal field. This could include subjects such as English Language or History. Try to steer clear of the ‘soft’ options when choosing A Levels, as this could hamper your chances of getting into the university of your choice. There are other routes that you can take in the event that you do not study law at university or are unable to attend university at all. For instance, university graduates that have not studied law can opt to do the GDL (Graduate Diploma in Law) if they wish to enter a career in the legal field. This then provides the basis to train as a solicitor. 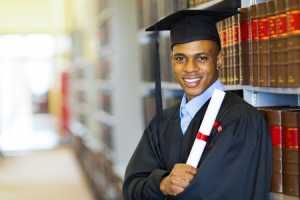 If you have not attended university at all, you may be able to opt for a legal apprenticeship in order to develop a career within this field. Once you are on your law degree course, you will be assessed on a number of different areas such as examinations, verbal presentations, and coursework. If you are looking to specialize in a particular area of law, you may be able to opt for a joint degree such as criminology and law. Some educational institutions may also offer sandwich courses for those that want to focus on a particular area of law. The key thing is that you need to make your decisions early on with regards to your legal career, as this will help to ensure you choose the right A Levels and the right degree course. Once you have passed your law degree in the UK, you can then follow up with post graduate courses such as the LPC if you want to become a solicitor or the BPTC if you are looking to become a barrister. You then also need to decide where you want to practice law. For instance, you may prefer to work for a private practice or even set up on your own. On the other hand, you may prefer the option of working for the government or even for the Crown Prosecution service. Finding work after a degree can be tricky in any profession, so always try and get your foot in the door of a firm via an apprenticeship or part-time job whilst you are still studying at university. This way, when your studies end you can easily transition into full-time work. A career in the legal field is one that is not just financially lucrative but also interesting, rewarding, and diverse. While some people decide to train as general solicitors that deal with a variety of different legal matters, there are others that prefer to focus on a particular area of the law such as personal injury. This is a specialist area that enables you to help those whose lives have been affected by personal injury through helping them fight for the compensation that they are entitled to. 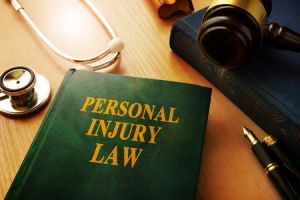 Falling under the law of tort, Personal Injury or PI law deals with a range of different areas. This could include everything from trips and falls in public areas through to accident at work claims, health and safety breaches, and related issues such as medical negligence. The aim of this area of law is to try and get the injured party back to the position they would have been in had they not sustained the injury through compensation. While some injuries may be serious or permanent ones, the compensation can make up for things such as loss of income as well as pain and suffering. If you want to train as a solicitor and specialise in personal injury law, you do have to work hard – as is the case with all areas of the law. It is always best to establish your interest in a legal career early on, as this means that you can make the most appropriate choices when it comes to the subjects that you study. When it comes to doing a law degree, you need to have the right GCSE and A Level grades for entry as well as choosing the right subjects. The requirements will vary from one university to another but choosing A Level subjects such as history and English Language can prove very helpful in securing your place at university. You then have to work your way through several years of study as part of your law degree. You will be assessed on your coursework and examination results as well as verbal presentations throughout the course. When you apply for a law degree placement, bear in mind that you can study a joint course that combines law with another subject depending on the field that you want to specialise in. If you decide that personal injury law is the right option for you, there are certain qualities that you will need to have to become a legal expert. First off, you need to ensure that you are always on top of the latest developments when it comes to PI law, as these can change on a regular basis. Because this is a litigation process, you also have to be extremely disciplined and organised, as there is a lot of planning involved in personal injury cases and a great deal of research that has to go into them. Of course, being able to empathise with clients and their situation is also vital and you need to ensure you have excellent communication skills. You need to be very passionate about what you do and often you will have to put in long hours in order to get all of the information that you require for a particular case. Remember, as a PI solicitor you will have to stand up to opposition from people such as insurance company officials, so you need to have plenty of confidence. Why specialise in PI law? Fighting for justice: As a PI solicitor, you can fight for justice on behalf of those that have sustained injury through no fault of their own. The cases can sometimes be very challenging and even upsetting but being able to get a successful result and justice for your client can be extremely rewarding. Working within the justice system can be complex at times, but knowing you’re there for the right reasons really gives a boost to this aspect of law employment. Excellent salary: When you secure a position as a PI lawyer, you can look forward not only to job satisfaction but also a very good salary. Of course, the salary can vary based on where you work and your level of experience but once you have plenty of experience under your belt you can enjoy a very lucrative career. You may even be able to branch out and create your own firm with the knowledge you have acquired. Most PI lawyers make around £40k per year, which is about £3,500 per month. If you work in London this can be higher. Interesting area of law: Some areas of the law can be considered pretty dull and repetitive. However, with PI law every case is different so you never have to worry about getting bored. This is one of the most interesting areas of the law with plenty of diversity. One day you can be fighting a case for a cruise ship illness which involves many passengers, and the next you may be having to prove negligence in a car pileup. You never know what each fresh case will bring! These are just some of the reasons why you may want to consider working towards a career as a personal injury solicitor. I Need a Polish Personal Injury Solicitor – Where Can I Find One?